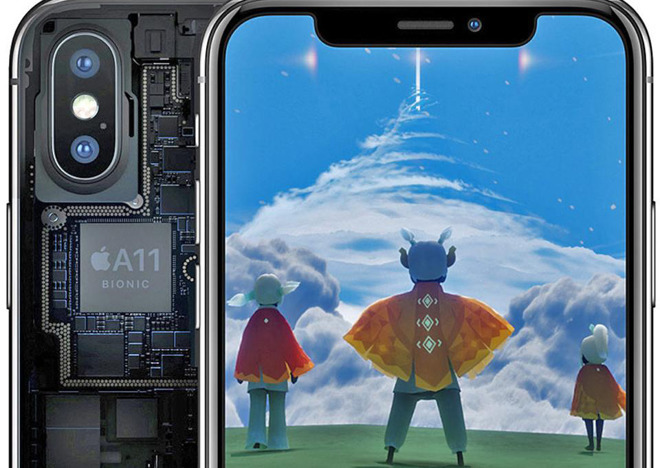 Apple has reportedly told suppliers that it's dropping March-quarter iPhone X production from the more than 40 million it predicted to about 20 million, delivering a multi-billion dollar impact to the supply chain. The phone saw "slower-than-expected" holiday sales in major markets including the U.S., China, and Europe, Nikkei said on Monday. Apple typically cuts production post-holidays, and at present it is unclear if the report is accurate as it is unsourced, or if it is so, how it compares to other seasonal cuts. The company is allegedly keeping a combined production target of 30 million for all other current iPhone models, such as the 7 and 8. Though it's uncertain what would have hurt iPhone X demand, the most likely culprit is price. The device is the most expensive iPhone ever, starting at $999 for a 64-gigabyte model. A 256-gigabyte version is $1,149, more expensive than some Macs. Much of its cost can be chalked up to an edge-to-edge, 5.8-inch OLED display, which is supplied solely by Samsung —the only company able to manufacture on the scale Apple needs. Other suppliers like LG are eventually expected to provide OLED panels, but most likely for the X's successors. The X also incorporates 3D facial recognition sensors used for features like Face ID and animoji. Those components are difficult to make, and in fact may be why the product launched only in November and in low numbers. Production has caught up relatively rapidly though, since in the U.S, the phone is now available immediately online and at retail.